Anyway, it was just an image that popped into my head one afternoon and I decided to paint it. 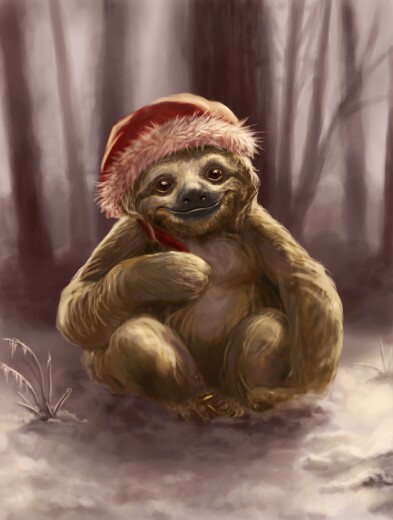 This entry was posted in Creatures and tagged christmas, sloth. Bookmark the permalink. Post a comment or leave a trackback: Trackback URL.